The Orgapack OR-T band tensioner is the best device for manually strapping products with plastic tapes. The devices manufactured in Switzerland are characterized by intelligence, innovation and intuitiveness. They ensure full security of the work process. Orgapack tensioner has an ergonomic shape, is lightweight and perfectly balanced, making it very handy to use. 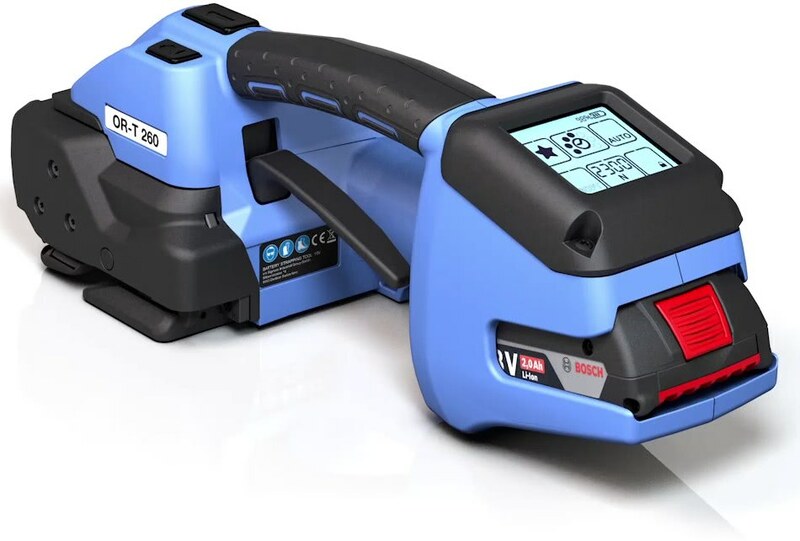 The latest series of OR-T tape tensioners has been additionally equipped with a digital interface, facilitating quick change of selected parameters at the touch of one finger. The entire strapping process is electronically controlled, which ensures consistently excellent performance.